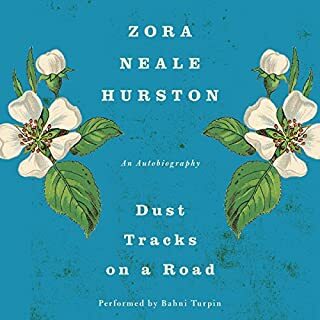 Hurston writes her biography with the cadence of one who knows fiction. From humble beginnings, she hoped, pushed, and triumphed against the odds to pursue her passion. Very inspiring! As an ethnographer, she captures the spirit of the times with an expert eye, painting detailed pictures of the world around her. Narration was strong, with distinct voices as needed. Great work by Turpin! If the description sounds appealing, you won't be disappointed. 100% worth the credit! 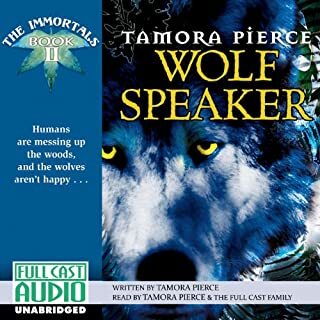 Excellent narration with distinct voices. Writing style offers a unique, sophisticated presentation by shifting pronoun perspective between people, varying between 1st, 2nd, and 3rd person, which often helps with tracking the story lines. The focus of the story is on the lives of the characters. The shape of the natural world drives the plot and the lives of the people. In this dystopian world, there are long cycles of apocalypse, and this shapes everything about the world and its people. And yet it is not without hope, revealing the human instinct to survive, prevail, and work toward a better life despite hardships and seemingly impossible hurdles. The first book sets the scene, engages with characters, shows how the culture has developed with, and in spite of, periodic cataclysms. This book reveals more as the hardships continue, with clever twists. Some may enjoy that it is is less predictable than most books of this genre. It also begins to blend some science in with the fantasy and magic. It seems impossible to reveal the best parts of the story without spoilers. 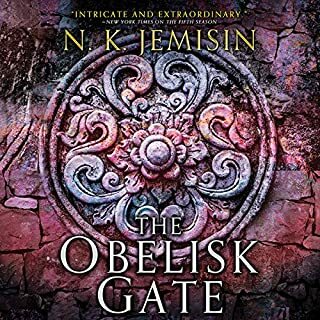 Highly recommended for SciFi and fantasy lovers who are comfortable with exploring some of the darker sides of humanity. While generally clean and free of gory details of violence, the issues and challenges faced in the story are ones better appreciated by the more mature reader. Character voices are great! Unfortunately, the narration tying it together seems a bit amateur, as if everything is on extra slow. Almost unbearable for this adult when played at default speed, but tolerable at 1.20. Overall enjoyable story of a teenage girl beginning to mature and come into her own, learning how to use and manage her talents. Interesting characters throughout, who are complex enough to be of interest to an adult, but not too much for young readers. The world-building is well done, and this fantasy world is an interesting one. Different enough to be inhabited by fantastical creatures, yet human enough to easily identify with it. The variations of magic are intriguing and plausible in their own way. This could be a great book for a young reader to follow along with the ebook. Also likely enjoyable for an adult to read to the younger ones. Bought the first book to read before sharing it to my young niece. Moved on to book 2 because I liked the story and character actors. Thanks for reading this review, and I hope it is helpful! 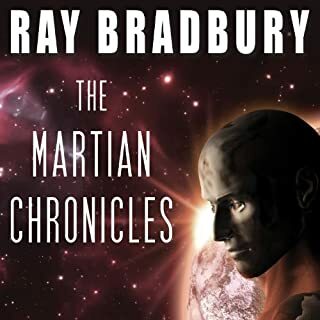 Bradbury's Mars is a place of hope, dreams, and metaphor - of crystal pillars and fossil seas - where a fine dust settles on the great empty cities of a silently destroyed civilization. It is here the invaders have come to despoil and commercialize, to grow and to learn - first a trickle, then a torrent, rushing from a world with no future toward a promise of tomorrow. 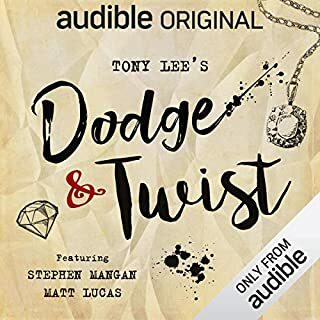 A strong narrator in a slightly vintage style. A classic SciFi from an early master. Opens with a great intro with some background on how it evolved from a serious of short stories into this collection. Sure, the science is a touch dated, but that doesn't take away from the stories created by Bradbury. A middle school aged boy is marooned alone on a strange planet. Faced with impossible strange terrain and experiences, he grows and learns much about himself. Well narrated, with distinct voices, Jesse Einstein helped carry the story. It helped to nudge the speed up just a little, for this adult listener. Perhaps some of the plot snags were appropriate for much of its intended younger audience. But despite those, the story moved along to keep the reader interested. Recommended for young readers 10-14yo of either gender, who enjoy space themes, and watching others find their internal strength and personal independence. The Pink Carnation, history's most elusive spy and England's only hope for preventing a Napoleonic invasion, returns in Lauren Willig's dazzling, imaginative new historical romance. 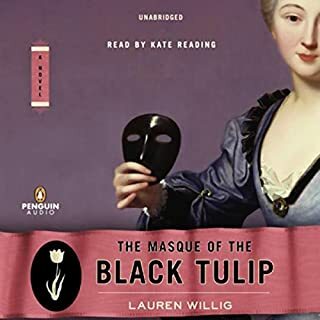 The Masque of the Black Tulip opens with the murder of a courier from the London War Office, his confidential dispatch for the Pink Carnation stolen. Anything read by Kate Reading will fly by easily. Her unique and distinct voices pair with a smooth presentation of the author's work. She somehow manages to sound as if any book is a delight, if one just follows along. Five stars to the book, as there is nothing to judge harshly. A regency romance with a light bit of suspense is interwoven with a twist of modern story, that offers extra insight on the 19th century plot. Please keep in mind that this reviewer is not commonly a fan of romance, and cannot compare it with other regency or other romantic novels. That said, it was an engaging "page-turner." Strong narration is supported by side effects and well-produced sound. 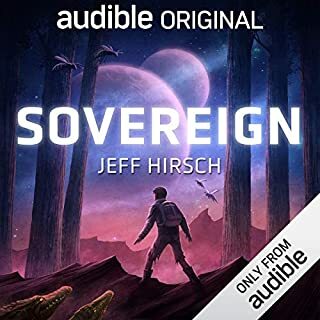 That is the best part of this free Audible Original from February 2019. The story falls somewhere between lame and just Meh. The story has the feel of one thrown together in a hurry for an assignment, with flat characters and a shallow story. 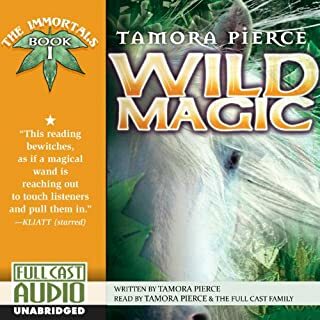 I've listened to whole books with poor audio and/or average stories, but this one I couldn't stay with until the end. And I'm not even curious what happened to the characters. Can't quite put my finger on the big turn-off, as even now it seems like something I'd love. Instead, I resent the slot it consumes in my library. 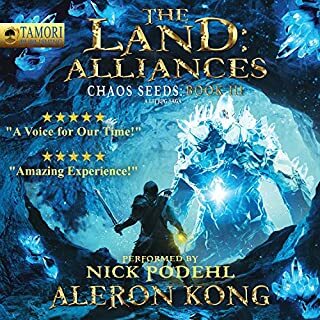 A good fantasy adventure story with unique characters, and an interesting plot. This first volume has a relatable young protagonist with a tragic background who grows as a person as she moves forward with her life. Through her experiences, she comes to understand her unique talents and gifts, to step up and take responsibility, to face her inner demons, and begins to acquire a level of discernment in making difficult decisions. Production choices indicate that this book was recorded for young readers. The extended cast helps individual characters to really stand out, with clear distinctions between inner and outer voices. And it seems likely that the recording may have been slowed to encourage reading the text along with the audio. 4⭐ overall performance: Some great (5⭐) character voices, but the narration was a bit awkward and stiff (2-3⭐'s). 4⭐ story: A bit hard to gage a writing style when it falls harsh on the ears, but the plot moves along well and the dialog was on the better side of average. Overall pretty good for a middle school audience. Thanks for reading this review. Happy listening! Tight writing and a respectable vocabulary, pair well with Podehl's narration and excellent voices. 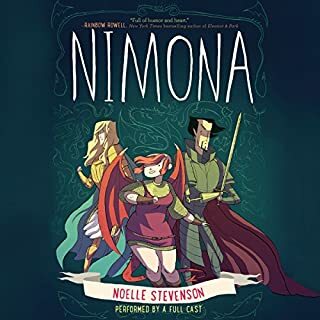 The characters are clear and quirky, and the story line is fun, if limited (appropriately) to and driven by fantasy game quests. If these things appeal to you, then it's very much worth the listen. As the book is set in a gaming world, there are features that could confuse or annoy the non-gamer, like the stat lists and descriptions. However, if one has spent enough time in rpg style video games, it will slide past with expected chimes and tones. Have you ever imagined yourself as your gaming character? Or thought of the story your character is living? This series brings these ideas to life. The series does build on itself, and this 3rd book in the series might not stand up as well on its own. In this volume the protagonist starts to come into his own as a leader, as he is faced with important choices.